Palm Meadows Golf Course is just a short drive from Broadbeach on the Gold Coast. The all weather golf course is said to be challenging with the first hole being especially 'interesting'. Special occasions and weddings can be celebrated in style at the Lakeview Restaurant at Palm Meadows Golf Course. 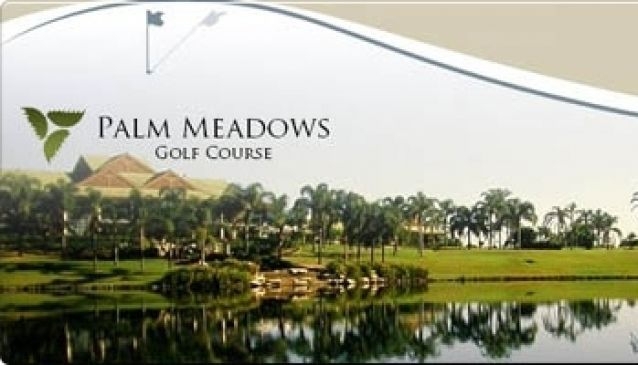 Social, Corporate and Golf Groups of upto 144 people can be catered for at Palm Meadows. Palm Meadows driving range is an all grass public driving range and is open 7 days from 7am. Golf lessons can also be taken and all levels are catered for. Lunch is served daily at the Lakeview Bar & Bistro.